The plug may have been pulled on the Split Festival this summer, but two new ones have been spawned by it, just to prove that where there’s a will, there’s a way! In July, the first ‘Sunniside Live’ featured some great young local bands, including Hyde and Beast and, the frankly fabulous Frankie & The Heartstrings, who topped the bill. Sunderland Blues Club’s summer break ends with a bang on 5th September, as the Dun Cow hosts the second new Festival since the demise of ‘Split’ – the city’s first ‘Blues and Acoustic Festival’. 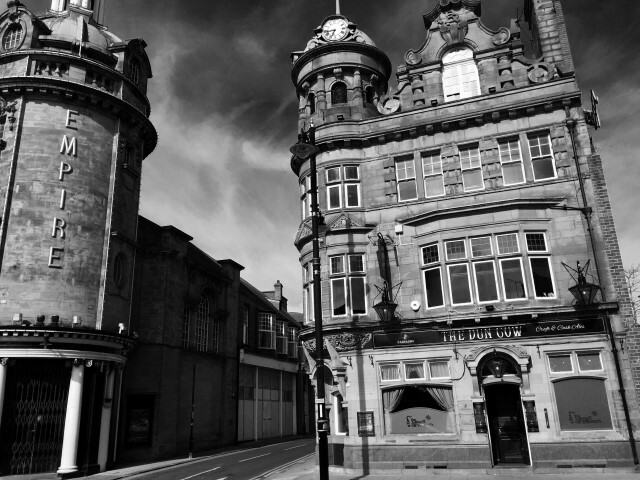 27 artists have so far agreed to play – 11 hours of non-stop music on two floors of one of the north-east’s most attractive historic bars….what’s not to like! It all kicks off at 1.00pm with performances in both the downstairs main lounge, and the smaller intimate bar upstairs. Around three quarters of the players are from Sunderland, with the rest from elsewhere around the north-east. A glance at the itinerary really does whet the appetite – there are some top quality players throughout the day. It’s difficult to select what I think might prove to be the highlights from such a long list of tremendous musicians and singers, but here goes…. Trevor Sewell will hopefully be playing some material from his new album ‘Hollow’, which is due for release in late August; Ian Simpson from Broken Levee; Steve Dagget; EddieMiller; Paul Liddell; former member of the Toy Dolls, John Casey, brings with him the most gravelly voice I’ve ever heard – not to be missed; at the other end of the vocal scale, This Little Bird’s beautifully clear voice will certainly grace the stage; and I cannot leave out the band who are last on the bill downstairs….Auld Mans Baccie, who produce fantastic foot-stomping Blues that deserves to be heard on a national stage. Messrs Shovlin and Lamb are a class act too, but haven’t included themselves on the schedule. However, no doubt they’ll be in action at some point during the day. It’s all free, it’s all local talent, and I for one can’t wait!